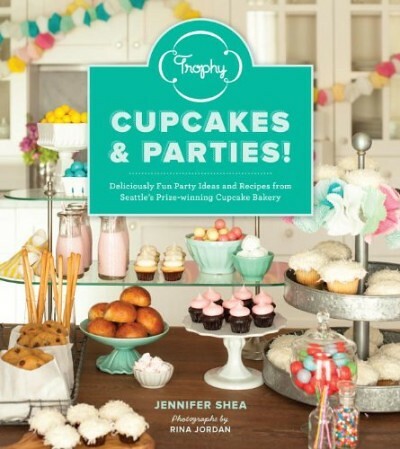 Trophy Cupcakes in Seattle is throwing a big party for co-founder Jennifer Shea's about-to-be-published cookbook Trophy Cupcakes and Parties! The party is September 28th and all the details are here. 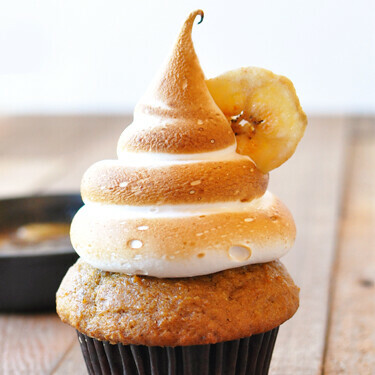 You can read more about the book on the Trophy website and keep up with the latest, like their Bananas Foster cupcake, shown below, their September only flavor (official description: "It all starts with rich banana cake and a caramelicious Bananas Foster filling. Then it’s topped off with a mountain of toasted rum meringue and a crisp banana chip.") on their Facebook page and @trophycupcakes on Twitter. 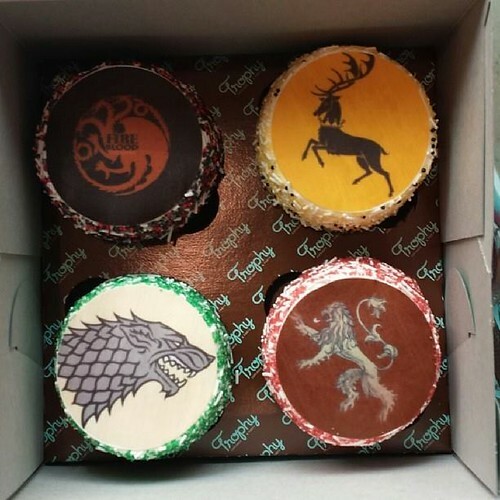 Not only that, they also do special orders, like the Game of Thrones cupcakes seen below, just contact them well in advance (same goes for many bakeries).